An inspection of cigarette companies was halted by former Sars executive Jonas Makwakwa, the former head of compliance says. The former head of compliance at Sars says that a so-called “rogue unit”, used to discredit Public Enterprises Minister Pravin Gordhan and have him removed from his post as finance minister, was actually doing important work. Gene Ravele took to the stand on the third day of the Nugent Inquiry into tax administration, where he also alleged that any lack of compliance on the part of the tax authority “was planned”, and included the halting of a Sars inspection of cigarette companies by former Sars executive Jonas Makwakwa. Ravele believes that the cancellation of these inspections, which he described as “crucial”, were the breeding ground for wider non-compliance with excise taxes at Sars. He also said that they resulted in a loss of tax collections. “After I left, there was no inspections at cigarette factories. Until today. When the minister of finance complains of the lack of compliance, it was planned,” said Ravele. According to Ravele, the so-called “rogue unit” that was disbanded in 2014 after Tom Moyane was appointed commissioner was actually a crucial unit that was instrumental in busting criminal activities. Actually called the High Risk Investigative Unit, Ravele says “That unit helped us bust a crystal meth lab in Durban. Moyane called us to an extended meeting. He asked about the rogue unit. Moyane said “no rogue unit will be on my watch”. “We started getting calls that we are running brothels. It was a sorry time. He disbanded exco. He rescinded exco a month later. There were new faces and Jonas Makwaka was part of exco,” he continued. 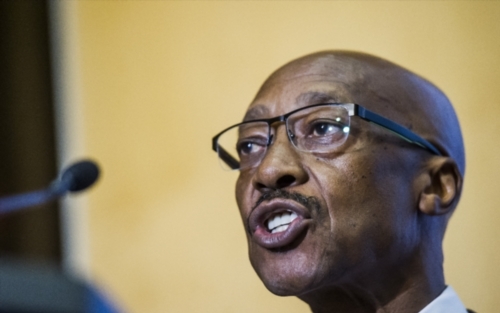 Thursday also heard testimony from former head of group legal services, Makungu Mthebule, who says Jonas Makwakwa, though to be Tom Moyane’s right hand man, had interfered with her work and made her job difficult. Mthebule said Makwakwa would harass her with questions about certain taxpayers. “Makwakwa would SMS me and say he was with this high-level tax payers, where are we with this tax payer. This was wrong,” Mthebule said. During a restructuring of Sars that many believe was instrumental in “state capture”, Makwakwa was made head of the VIP tax unit. Makwakwa resigned from Sars in March after corruption allegations. The restructuring saw workers moved from their position without explanation. It it also alleged that cameras were installed in the building amidst a general atmosphere of paranoia. The Nugent inquiry will continue on Friday.